PuzzleArt Perceptual Play Card Packs in 3D! 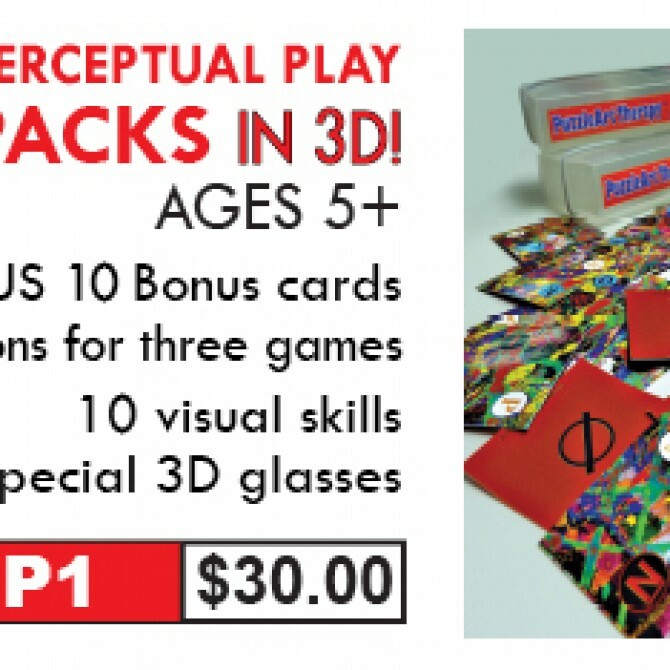 Today's featured piece is my PuzzleArt Perceptual Play Card Pack in 3D! These are great for vision therapy and are used in my PuzzleArt Therapy live training sessions. This product is part of the PuzzleArt Therapy System, the first therapy to combine Binocular, Perceptual, Oculomotor and PuzzleArt Sensory Protocols using hands-on abstract art.